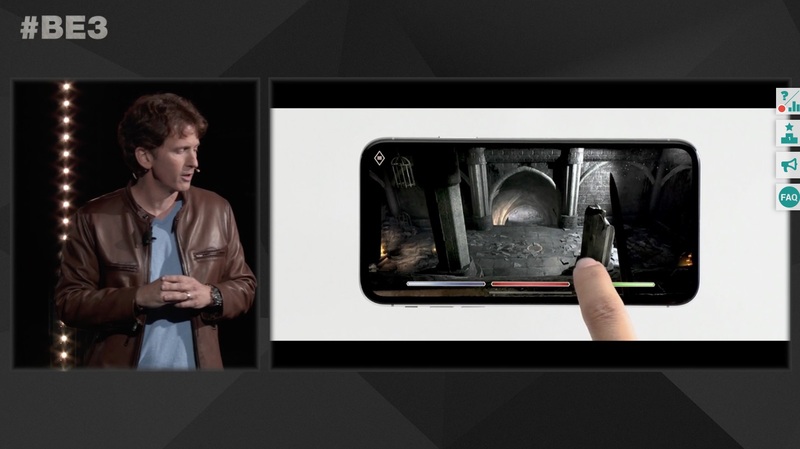 Moments ago Bethesda announced The Elder Scrolls: Blades at their E3 press conference. It’s an entirely touch-driven Elder Scrolls game that utilizes super intuitive touch controls to manage everything in the game. Utilizing melee weapons, casting spells, and everything else is just done with simple taps and gestures. It also can be played in either landscape or portrait mode one handed. Blades will be coming to every platform they can run it on from phones to consoles to PC, and they all connect to each other with total crossplay. Blades is coming later this year for free, and you’ll be able to register for early access at playblades.com.